Being injured in an accident or suffering another type of loss can be overwhelming. When your claim is denied by your insurance company, the situation can become even more stressful. The experienced team at the Law Offices of Craig L. Cook regularly handles negotiations with insurance companies when they dispute or deny claims. We are willing to advocate for our clients to successfully resolve their insurance claim disputes so that they can recover compensation for their losses. Review what to do if your insurance company denies your claim so that you will be more likely to ultimately recover fair compensation for your losses. The National Association of Insurance Commissioners releases reports detailing consumer complaints about insurance companies every year. In 2017, the top reason for confirmed complaints was for delaying the handling of claims at 17.93 percent. The second leading reason for the confirmed complaints was a denial of the claims. In 2017, 12,104 complaints of claim denials were confirmed by the NAIC, accounting for 15.43 percent of the complaints that were filed. The NAIC reports that a majority of the complaints that are confirmed each year deal with accident, health, and automobile coverage. These areas are the primary reason why many people purchase insurance in the first place. If you have received a denial, here is what to do if your insurance company denies your claim. Keeping impeccable, detailed records is important if you are injured or suffer another type of loss and are forced to file a claim with your own insurance company. For example, if you are injured in an automobile accident with a driver who is uninsured or underinsured, you might have to file a claim with your own insurance company under your existing underinsured and uninsured motorists policy. Keeping detailed records of all of the losses that you have suffered as a result of your accident is crucial for proving your claim. 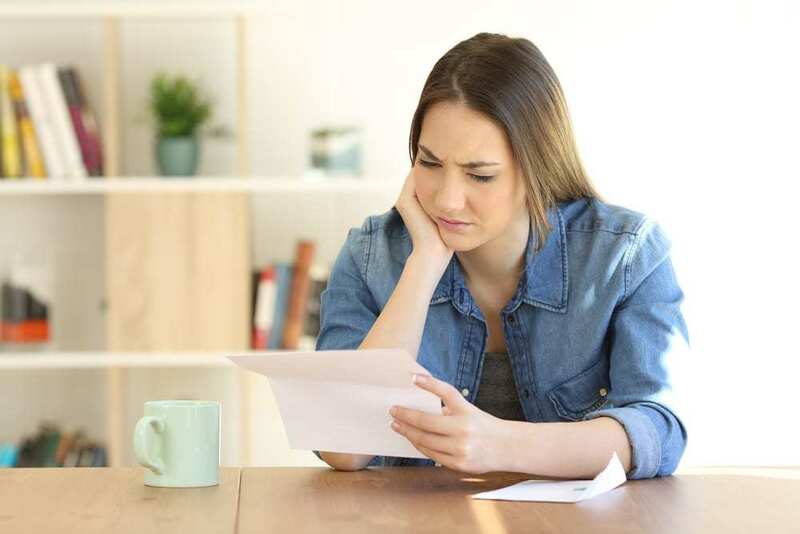 You should keep receipts, medical records, medical bills, income records from both prior to and after your accident and injury, and other records that document your losses. Having thorough documentation can help you and your lawyer prove your claim, increasing your likelihood of recovering compensation. Even before you suffer an injury accident or another qualifying event, it is important for you to carefully review your insurance policy so that you know your rights and the coverages that are available to you. You should review your policy carefully to understand any exclusions that might apply, what situations are covered, and how to file a claim. You should also review your policy so that you can understand what to do if there is a claim dispute. If you do not have Uninsured Motorist (UM) or Underinsured Motorist (UIM) coverage and have not had an accident, it is a good idea to talk to your insurance agent about adding this type of coverage. While insurance coverage is mandatory, some drivers will drive without insurance, and others will have only the minimum coverage that is required by the law. Having this layer of protection can help you make certain that your losses will be covered if you are involved in an accident with someone who is uninsured or who has inadequate insurance. Consulting with an experienced attorney who regularly handles insurance disputes and denials is one of the most important steps that you can take when your insurance company denies your claim. Insurance companies are more likely to offer fair settlements for valid, filed claims when the claimants have experienced legal representatives handling their claims. It is a good idea for you to contact a lawyer as soon as possible after your accident and injury. Getting help early can help your attorney thoroughly investigate your claim and gather evidence that supports it. The legal team at the Law Offices of Craig L. Cook understands the common tactics that insurance companies might use to avoid paying claims and are able to anticipate and counter their arguments. For a free case evaluation and to learn about your rights, contact us today.